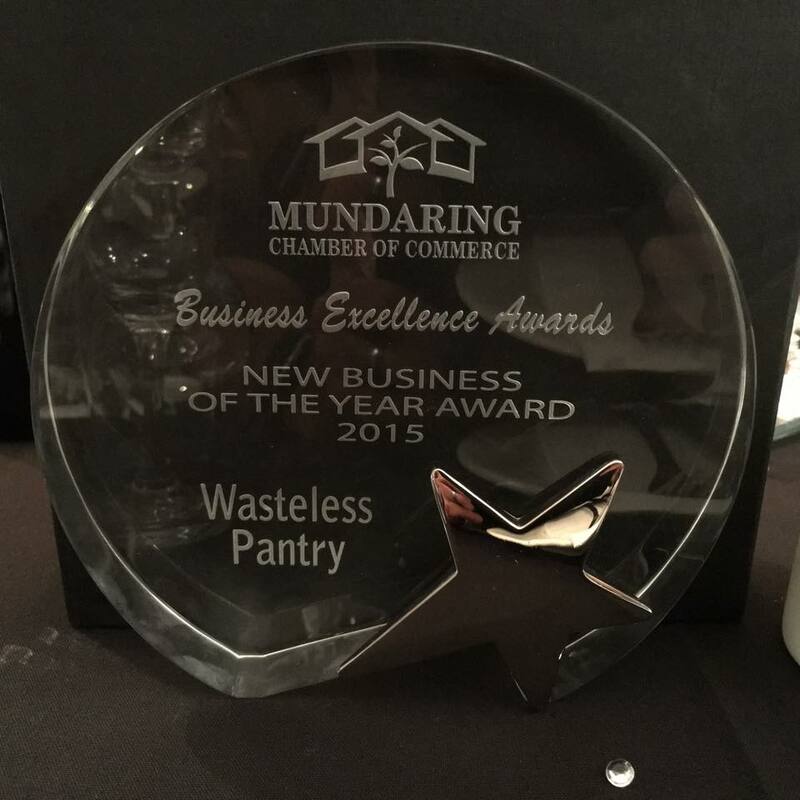 Perth Hills sustainable food business, Wasteless Pantry, won two awards including top honours at the Mundaring Chamber of Commerce Business Excellence Awards on Saturday, capping off an incredibly successful first six months of operation in which the innovative company has challenged conventional thinking around food retailing and consumption. Wasteless Pantry has tapped into the growing sustainable food movement and seeks to educate its consumers about how to shop smarter and waste less. 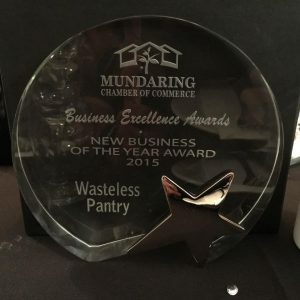 The store promotes the zero waste ideals of “Refuse, Reduce, Reuse, Recycle and Rot” by providing quality, unpackaged bulk groceries with reuseable containers and other sustainable products. Frustrated by the lack of alternatives to conventional shopping where the consumer must purchase a prescribed amount of a product in packaging designed to be used once and thrown away, Amanda and Jeannie decided to open their own store in Mundaring, where things are done a bit differently. 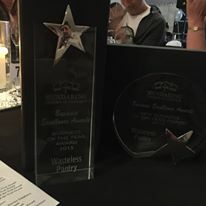 Wasteless Pantry is actively involved in the community delivering educational presentations to Councils and schools on food waste, sustainability and transitioning to a less wasteful lifestyle in an increasingly disposable first world culture. The company’s Waste Less Blog is full of tips, ideas, stories and inspiration. 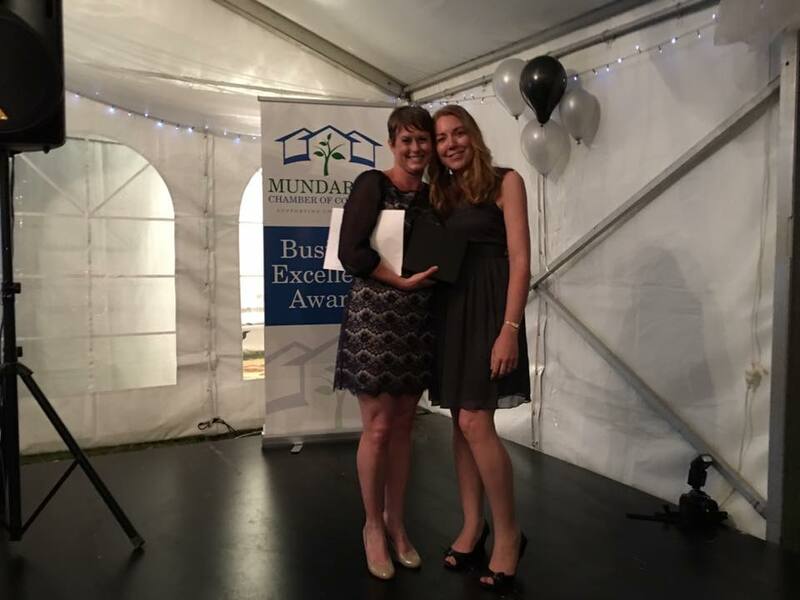 The standalone store opened on 1 June 2015 and was designed from the ground up by Amanda and Jeannie. The support and enthusiasm from the local community and further afield has been overwhelming. Congratulations on your win and the well deserved recognition it brings you. So very pleased for you, and the community.